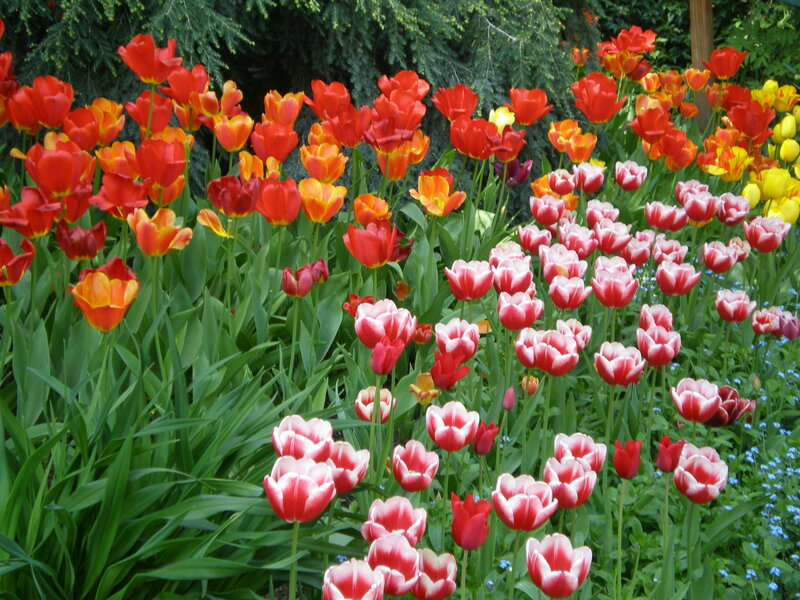 In this special setting, in steep, rugged, conifer country in California’s Sierra Nevada, the tulips are a surprise. There are thousands of them, and at the height of their spring brilliance they draw visitors in what feels almost like a spiritual pilgrimage. Which isn’t surprising considering they are part of the Ananda spiritual community that has been there for nearly a half-century. The Crystal Hermitage Gardens are part of the 700-acre Ananda Village, which offers yoga, meditation, natural beauty, and a sense of peace. As you look toward the river far below and the mountains beyond, the gardens, graceful chapel and adjacent buildings feel like an oasis of civilization amid the wilds. 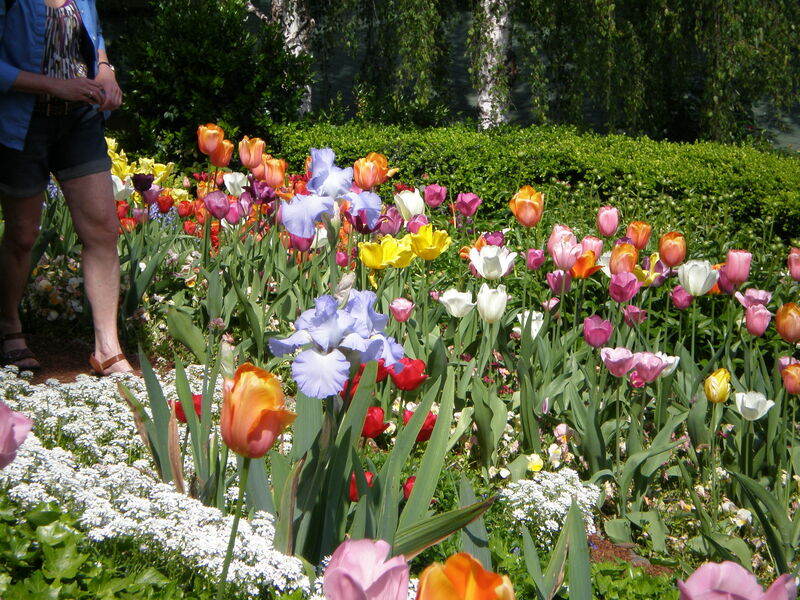 Visitors are welcome to the garden and other facilities year-round, but spring is a special time, with stunning displays of color from tulips and many other plantings. Ananda is a global movement founded in 1968 by Swami Kriyananda. 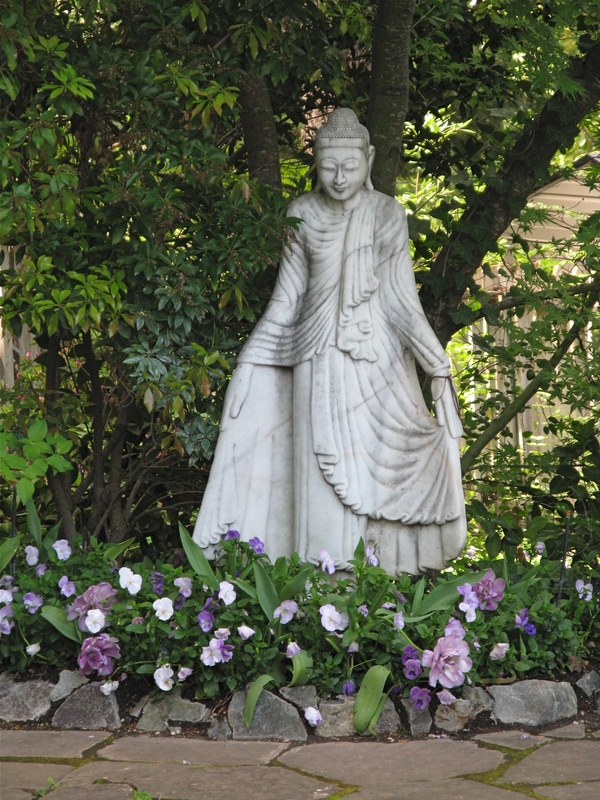 Ananda is based on the teachings of Paramhansa Yogananda, author of Autobiography of a Yogi. For garden updates see the Crystal Hermitage’s website: www.crystalhermitage.org. Tags: Ananda Village, Crystal Hermitage Gardens, Sierra Nevada, tulips. Bookmark the permalink. 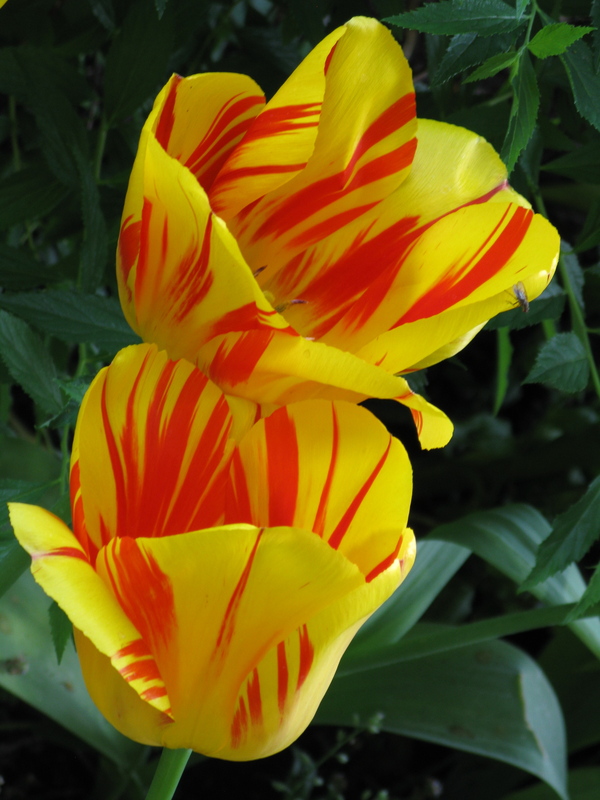 Love the tulips, Dancing Goat Author!